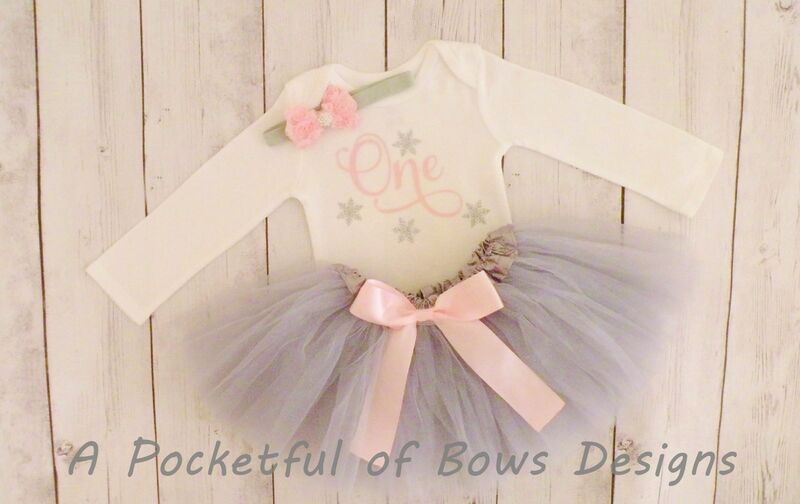 Silver and pink birthday tutu outfit with custom age. 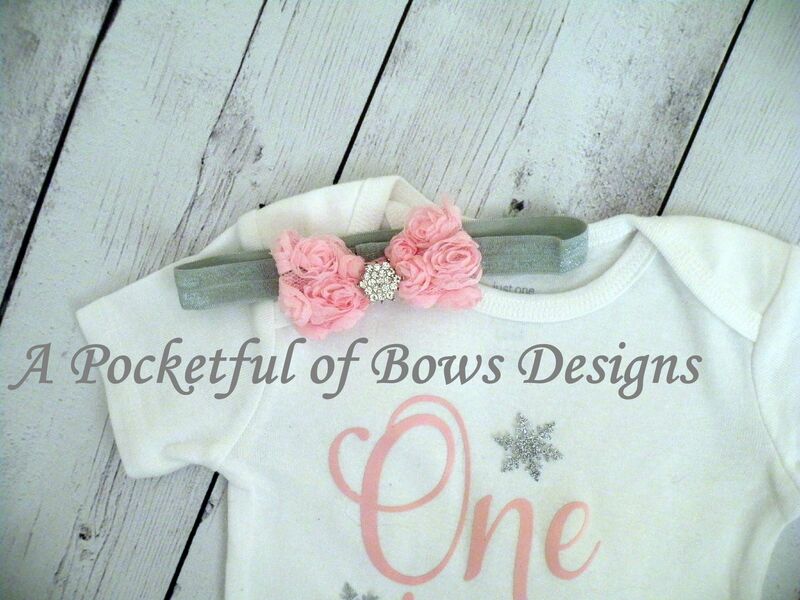 The top is available as a baby body suit or toddler tee shirt. 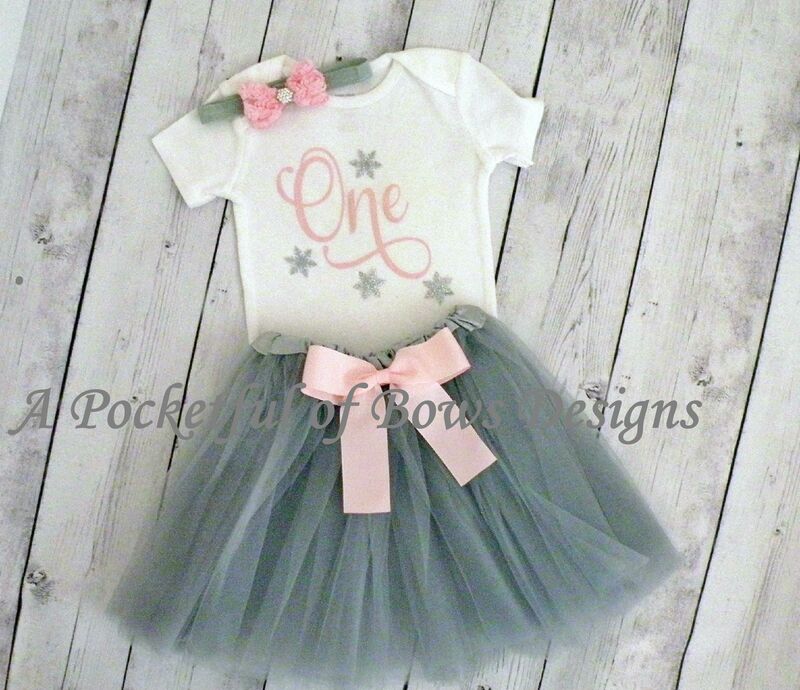 It has the age in pink with glitter silver snowflakes. Ages: ONE, TWO, THREE, FOUR, FIVE. 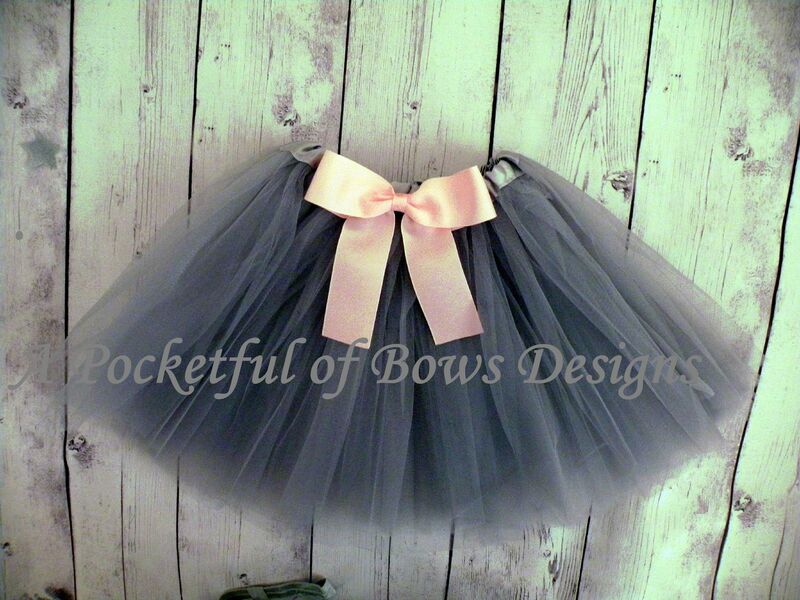 The tutu skirt is silver with a pink bow. Long or Short sleeves.